Shown in photograph: Mayor Stephen Juba at center, councillors, other individuals (unidentified) and casket on table. 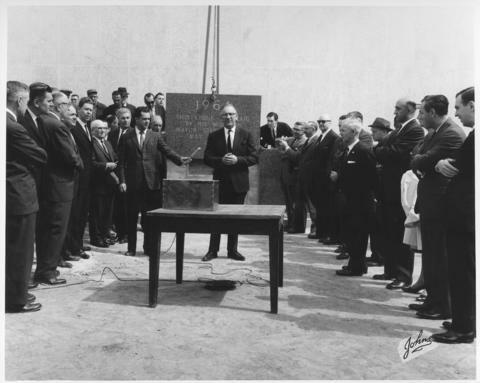 Casket, also known as a time capsule, was placed into cornerstone. - Stamp (on verso): John's Photo Studio, 555 Main St., Winnipeg, Man., Ph. WH 3-0259.